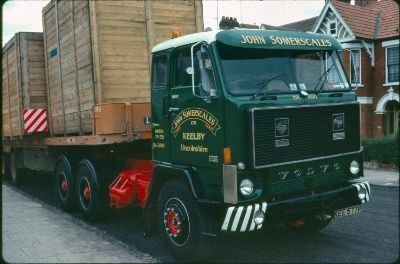 Somerscales transport was established on 21st April 1900 when John Somerscales transported the first of two loads of timber from Stallingborough to Grimsby using shire horses (for which he charged one pound five shillings). Through the next two generations the mode of transport changed from horses to petrol and then to diesel power and by the 1970s the company had moved from timber transport into steel and general transport. 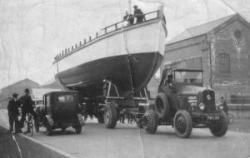 As loads got longer and heavier the company then invested in the latest technology and progressed into the specialist field of heavy haulage. 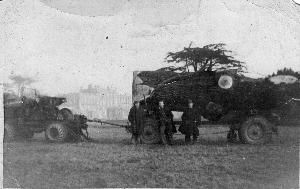 c1930's - M.Wilson, H.Somerscales and J.Somerscales transporting a large tree at Brocklesby with Latil tractor and timber drug. Brocklesby Hall in the background. 1970's - Delivering wide packing cases on Dutch ferry trailer. 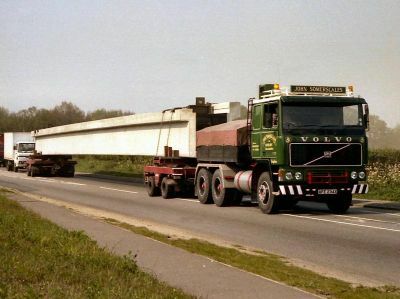 1980's - Large Bridge Beam being transported on Goldhofer double bogies. 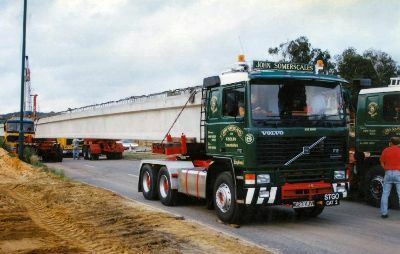 1990's - Delivering precast concrete bridge beams. Today the company is run by John Somerscales (great grandson of the founder) and is expanding even further into heavy transport. With over 111 years experience behind it and after expanding into new premises at the port of Immingham, the company is better placed than ever to meet the ever increasing needs of its customers. The UK port of Immingham is located on the River Humber giving direct shipping access to the North Sea and the Scandinavian and Central European ports. The daily roll on roll off sailings to Rotterdam and Zeebrugge coupled with excellent motorway links to central Britain mean that Immingham is the busiest port in the UK. Our depot is located 3km from the ferry terminals.